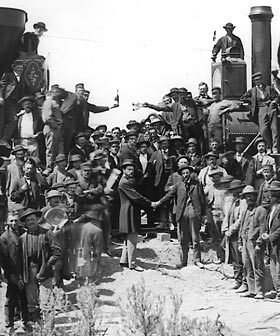 Celebrating the 150th Anniversary of the Golden Spike that completed the nation's first transcontinental railroad on May 10, 1869. 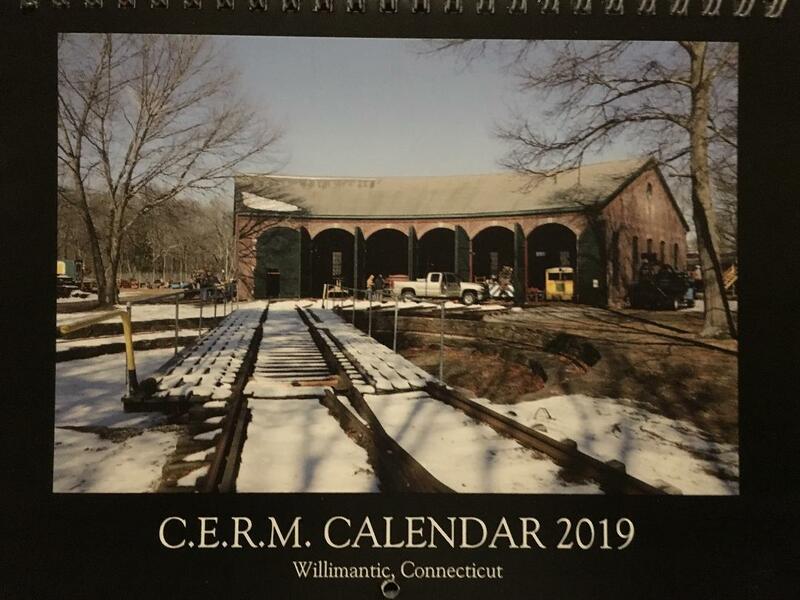 2019 Calendars Available, very limited release. April meeting is moved to April 14th due to Easter Sunday. proceed down the gravel road. 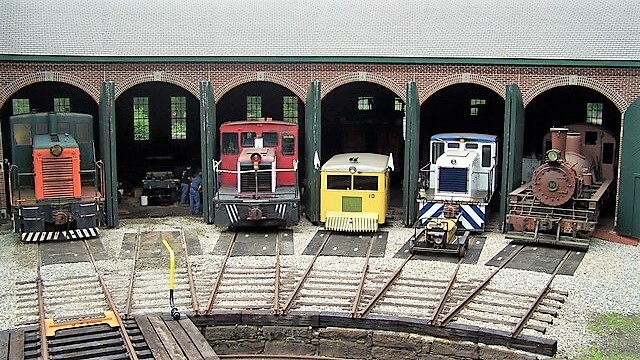 Celebrate with us at an authentic village-type railroad museum. Enjoy the opportunity to drive a spike into a railroad tie, ride on a handcar, see turntable and signal tower demonstrations. There is a Children's Depot where children can ride on a garden train, play on the "Mary Lou" playground train, and more fun and games. Admission: Adults $7, Kids(8-12) $3, Children(under 8) free. There is an additional charge for train rides & food. Museum activities, local RR and historical photos. 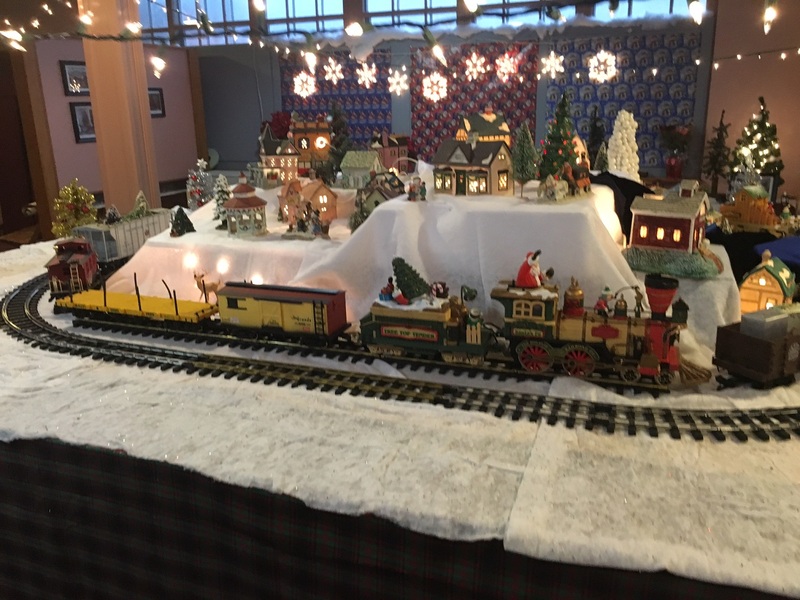 Our annual holiday event of operating toy trains, toys from years past and holiday decorations opened on Dec. 8th and ran through the first weekend in January at The Mill Museum. We had record attendance and made over 800 dollars as our share, plus $120 in gift shop sales! Plan to attend or, better yet, volunteer next December! Coming 1:00 PM Jan. 13th, 2019. The Great East Thompson Four-Train Wreck of 1891 is still renowned in local history. Not many wrecks have involved so many trains. Early on the dark, cold, foggy morning of December 4, 1891, the dispatcher in Putnam, Connecticut put the Boston Freight on the westbound main line, so that the eastbound Long Island and Eastern States Express could pass without delay. In East Thompson, the Boston Freight collided with the Southbridge Local, spewing wreckage all over the two main lines. The Express collided with the wreckage. It was being closely followed by the Long Island Boat Train, which ran into the rear Pullman car of the Express. Wreckage everywhere! While a lot of the facts are indisputable, there are still areas where we are looking for definitive answers. Tom will tell the story of the wreck, show all the pictures we have, mention areas of controversy, and point to directions for future research. Tom Chase grew up in Newton Centre, Massachusetts, near the Highland Branch of the Boston & Albany, which he regularly rode during his early years. One of his favorite activities was going over to the B & A mainline in Newton and watching whatever was going through, including the last steam in 1951. In 1958 he boarded the New England States at Worcester Union Station bound for Elyria, Ohio and four years at Oberlin College. He majored in conservation of art, did graduate work at New York University's Institute of Fine Art, and had a distinguished career in conservation and restoration of Oriental Art at the Smithsonian Institution's Freer Gallery. 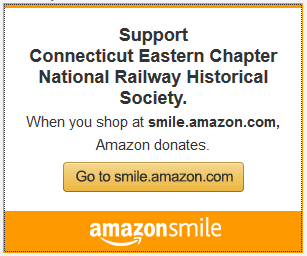 Since retirement to Woodstock, Connecticut he has gone back to trains, and is now a Director of the Massachusetts Bay Railroad Enthusiasts, a member of many railfan organizations, and Curator of the Ramsdell Transportation Collection of the Thompson (CT) Historical Society. This popular event sold out early, so be sure to sign up when it is announced for the 2019 event. The following photos are iPhone snap shots to show the setup with illumination. These are NOT the caliber of photos the photographers attending got with their higher quality equipment and the professional grade lighting provided. Our biggest event of the year. Food, music fun and TRAINS for the whole family, has come and gone. 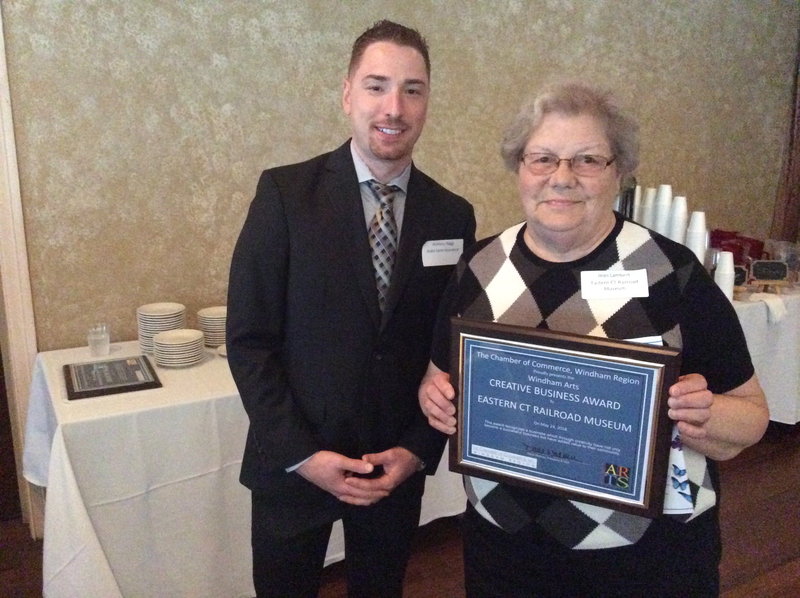 To see it again, or see what you missed, click the picture below to check out the video. Newest gift shop item - mugs! Two designs, get yours at the Gift Shop this weekend! Visitors: Check with your local library and ask them about the Museum Pass Program. The Dec 2017 Issue of the Ghost Train Journal is now available online!